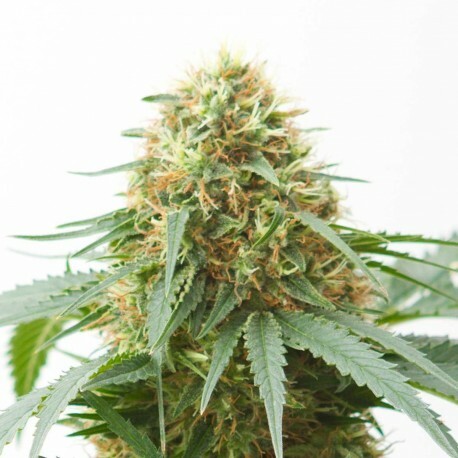 Northern Light autoflowering feminized is a tasty easy plant to grow, perfect for beginners or growers with little time. Indica properties make her stress resistant and full of good smelling firm buds. And if she suffers a little stress she restores herself quickly so Northern Light is a good candidate for beginners. Give her enough room and water and she will grow resin filled buds who will blow your mind and gives a relaxed and heavy stoned feeling that lingers a while thanks to the high THC and CBD level. This is one of the most common cannabis plants across the globe and hugely popular too. It has already won the Indica strain awards in 2001, 2002 and 2004 making it a legend from the last decade. The big center cola is its most important USP. Combine this with string power and great taste and you have one heck of a marijuana plant on your hands. Indoor growers have always loved our Northern Light auto-flowering seeds for the sheer fact that they guarantee excellent yields at the end of harvesting. This most powerful Indica strain was first bred back in 1970 in United States using the Afghani genetics. It was only in 1980s when the plant was introduced to the Dutch. In no time, this strain became a standard in terms of growing cannabis indoors. In last few years, we have seen multiple changes in the growing methods of Northern Light auto-flowering seeds. The strains with us are the perfect mix of old and new. Despite being a great strain for indoor growing, experienced commercial growers can also grow them outdoors under warmer climates. It is one of those plants that start flowering and grow almost immediately and you can harvest to reap the benefits of your efforts and investment in around 9 to 10 weeks flat. Cost of 20 fem seeds ? I am in Nigeria. I need to grow stealthily for medical use. I have started growing but need good medical autoflowering regular seeds to start breeding. I will pay with my UK Barclaycard Visa Debit Card. northern light autoflowering is a very good choice! That is correct, just mention it in the comment of your new order and we will send the extra seeds with it.